Pack your bags this home is move-in Ready! 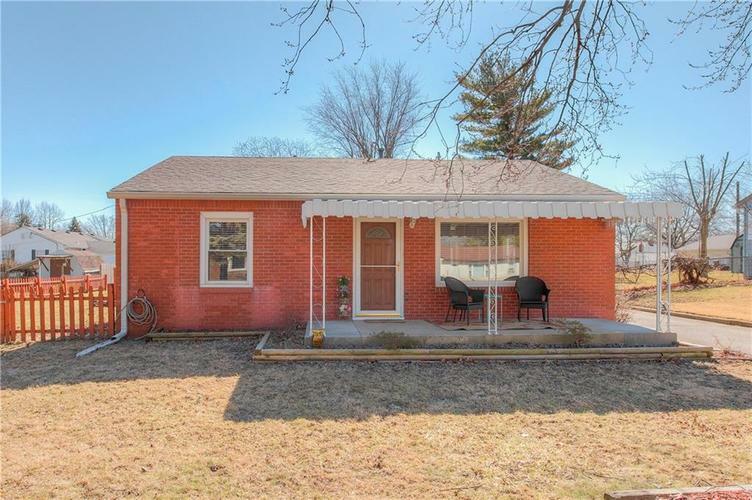 Charming Bungalow featuring 3 bedrooms/2 baths, sparkling original hardwood floors, modern kitchen. Living room with plenty of natural light, multi purpose family room/den offers additional living space, casual dining area connects to kitchen with decorative wainscoting, updated cabinets and newer appliances. Unique owner's suite offers private bath and W/I Closet. Additional bedrooms are generous in size both with built in bookcase and hardwood flooring. Relax in private fenced backyard retreat. Spacious 2 car garage with built-in shelving and work bench. Home is a must see! Directions:Intersection Shadeland Ave. and 10th St. East on 10th Street. North on Shortridge Rd. East on 13th Street. Home is on the right.